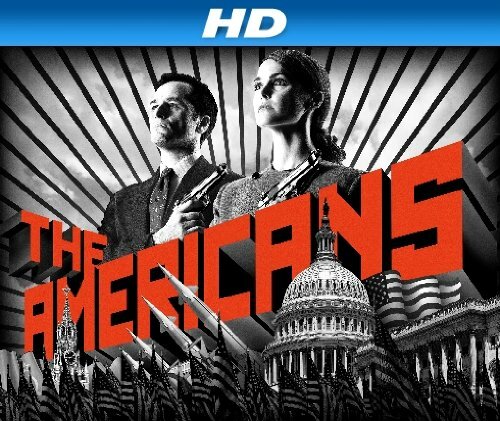 Quick Take: The Americans "Safe House"
Review: The Americans "Safe House"
(S0109) "Safe House" is one of the best episodes of The Americans' first season. One minor decision sets into motion a chain of events that will continue to have repercussions for some time to come. Picking up where events left off in the last episode (which aired two weeks ago), Philip and Elizabeth have decided to separate and tell Paige and Henry, who for good reason do not take the news well. You cannot help but feel sorry for them as the rug has been ripped out right under them. They have no clue who their parents truly are so they cannot even begin to understand the complexities behind their decision. They just think their parents fight sometimes but it is not enough of a reason as they see it for them to separate. Of course I’m not counting this relationship down and out yet. They are always going to need one another whether they are together or not as is evident from the events of this week’s episode. Philip goes to visit Martha under the alias of Clark and agrees to spend the night with her. He usually leaves soon after their tryst but since he has no one to go home to Philip agrees to stay. The following morning as Martha is getting ready to leave for work she lets it slip that the FBI is planning on killing a KGB agent but doesn’t know who as retribution for the deaths of three FBI agents and a scientist. Right after she leaves Philip is not far behind. As he is about to get into his car he is confronted by Agent Amador. I was shocked at Amador’s boldness. While he was sort of stalking Martha at the end of the last episode I didn’t think he would take it this far. I am not sure if he’s confronting Philip because he’s suspicious of him or because he is jealous that Martha continues to reject his advances but yet spends time with Philip. Philip tries to get away from him but a scuffle breaks out and when Amador pulls out a knife Philip maneuvers him in a way that Amador stabs himself. He stuffs him in his trunk and takes him to a secure location where Elizabeth soon arrives. Like, I said, they will always have to depend on one another. Meanwhile, Agent Beeman goes into a tailspin when he cannot locate Amador and is convinced that the KGB has kidnapped him. I always thought that Beeman could be a little fanatic but this week his actions definitely proved it. He can turn on someone with a drop of a dime and can be just as ruthless as he views the KGB as being. Although he’s been having an affair with Nina, when he goes to meet her to pump her for information regarding Amador he rejects her advances and becomes belligerent with her in asking her to find out what has happened to him. He’s a man of a mission and becomes obsessed with the notion that the KGB is involved in Amador’s disappearance; if he only knew the irony behind that truth. At first Beeman did not want any part in the plan to abduct and assassinate the KGB agent, who happens to be Rezidentura director Arkady, but, once Amador disappears he is all in. Unfortunately for the FBI Arkady does not go out on his usual run – which is how they planned on grabbing him – but an aide of his, Vladimir, does go and Beeman orders for him to be picked up instead even though they were supposed to abort the mission. Beeman is convinced that this man must know something. Elizabeth and Philip continue to interrogate a dying Amador for information. He finally gives the name of the KGB agent the FBI planned on killing only after asking what time it is as he knows there is nothing they can do at that point since he believes the mission has been completed. Elizabeth calls Arkady and confirms that he is still alive. She tells Philip and they decide to use stronger force against Amador, but, their decision is a mute one as Amador has already died. They end up dumping his body in a lot and Beeman’s boss vows to use all agents to uncover the truth behind what happened to Amador. That isn’t enough for Beeman though and he takes matters into his own hands. After gaining the trust of Vladimir, who ends up confessing that he is KGB, Beeman shoots him from behind in the head after telling the man he would get him something to drink. I was totally not expecting that and couldn’t believe it. Something in Beeman has snapped and he is as ruthless as one can possibly be now. It’s a whole new side of him that has been lurking to come out. The irony in the whole thing is that while Beeman believes that the KGB kidnapped Amador and then killed him in fact it was Amador’s own actions that landed him in the hands of the KGB – Philip and Elizabeth. It is a total mind game that has completely changed the way things will play out in the future. If Philip had not spent the night at Martha’s then things would have been so different. It is little nuances like these that makes this show one so enjoyable to watch. The Americans, nine episodes in, is clearly one of the best shows on all of TV. I had a few odd realizations while watching the episode. First is that this was the era of Kramer vs. Kramer. Not sure if that means it was just when divorce was becoming more "acceptable" or normal, but interesting to consider. I also realized that in this setting, set in 1981 or thereabouts, I was just about the age of Henry in the "real world" at that time. My parents got divorced in the late '70s, so I was too young for The Conversation, or at least too young to remember it later. Thanks Eric! In regards to your Kramer vs. Kramer comment... Yup, you are right it was a time when divorce was more socially acceptable. I recall in episode 8 Philip actually says to Elizabeth that it would be okay for them to separate now since the times had changed.